Farmgirl with Scottish Blackface sheep after a morning of vaccinating, de-worming, and hoof trimming. Love the image of you deworming and dancing at the same time!!! 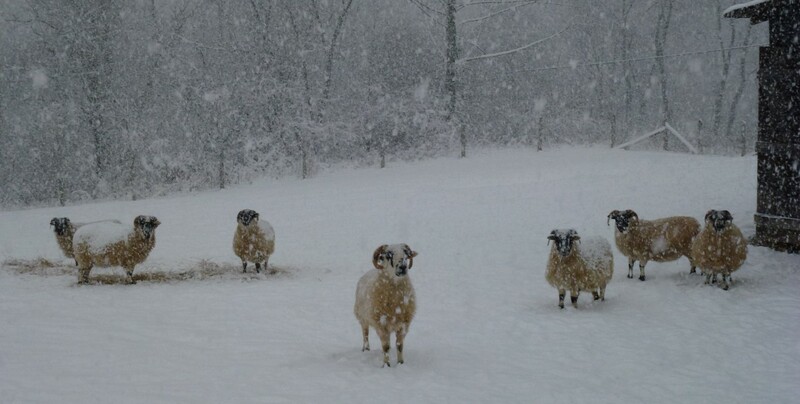 Want to cuddle those adorable sheep! It’s the little things in life that can make a difference. Very cool. Brilliant! Everyone needs at least one disco ball in their life! You get down girl! I’ve been wanting a disco ball for my nest for sometime now! We have impromptu dance parties quite often after dinner. Happy dancing! A brilliant way to chase away the winter blues! The sheep will be dancing, too! Love it!